To the right of the main entrance to the front office lays a white stone that tells a tale over a hundred years old. 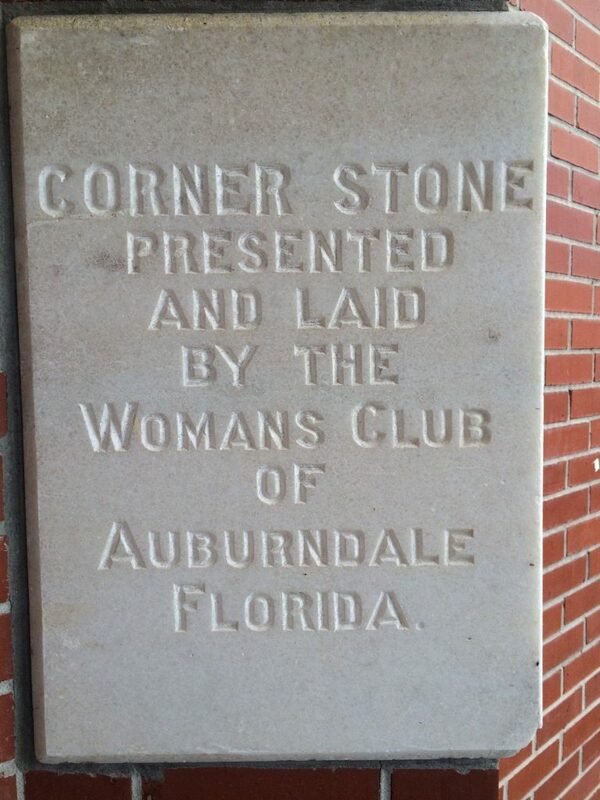 The Auburndale Woman’s Club lays the cornerstone at the original 1915 school building. The Auburndale Woman’s Club was instrumental in the new school being built located at the site where Stambaugh Middle School is now located. 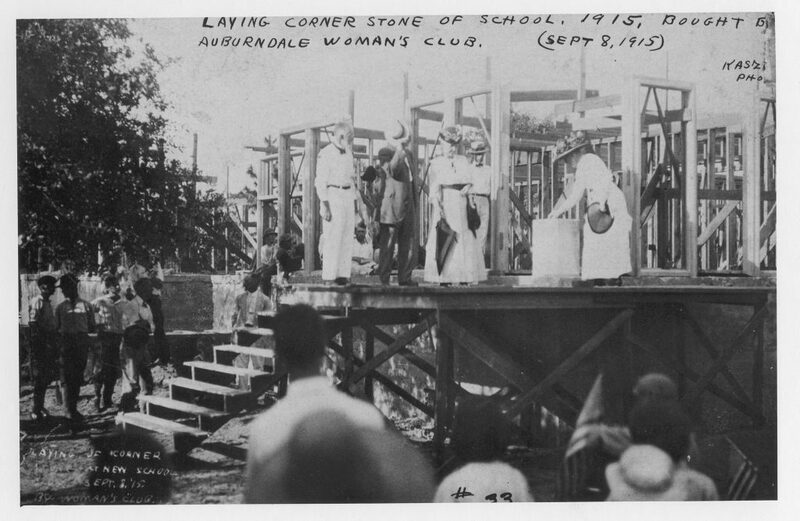 On September 8, 1915, the Woman’s Club laid a white granite cornerstone in the front corner of the school at the start of its construction. The cornerstone was sealed, with a metal box containing a “time capsule” of sorts inside of it. No date was set for it to be opened, but surely no one foresaw the school being destroyed by a tornado only sixty-four years later. 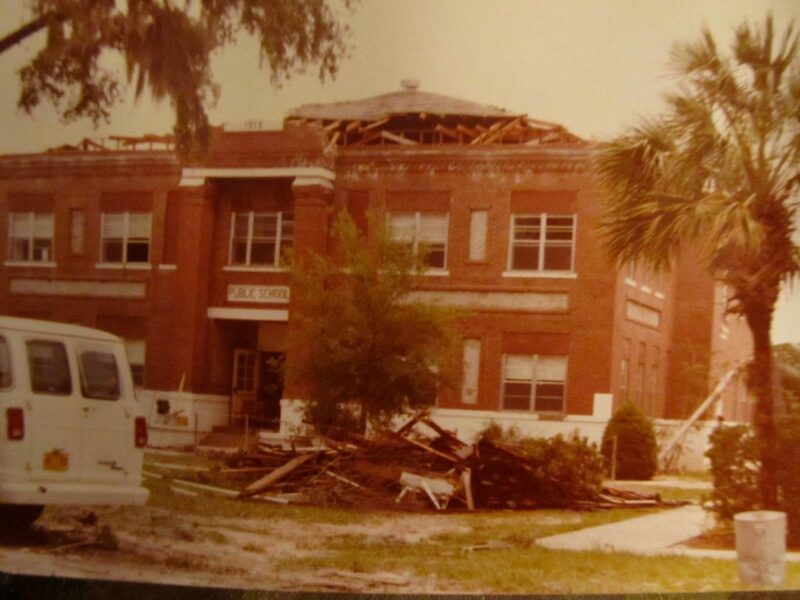 May 1979 saw a tornado cut through Auburndale, condemning the school, at the time known as Auburndale Middle School. 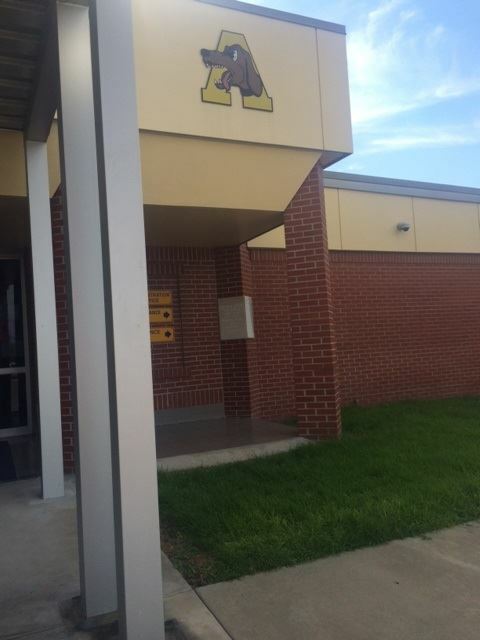 Students at AMS went to double sessions at Auburndale Junior High School next door for the remainder of the school year, and then would spend the next few school years attending North Central Middle School in Lake Alfred until Stambaugh Middle was finished in 1984. 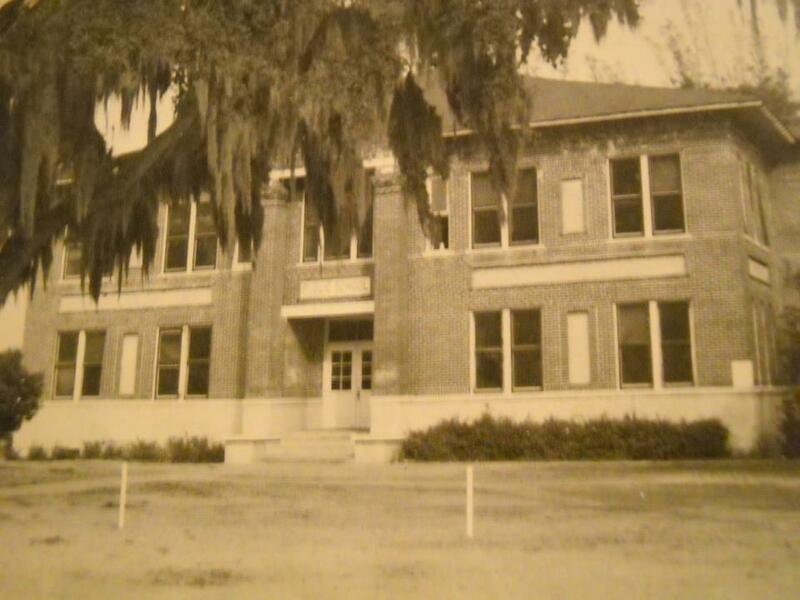 The 1915 school in Auburndale. The cornerstone can be prominently seen in the lower right-hand corner of the picture. The school, after the 1979 tornado tore the roof off. 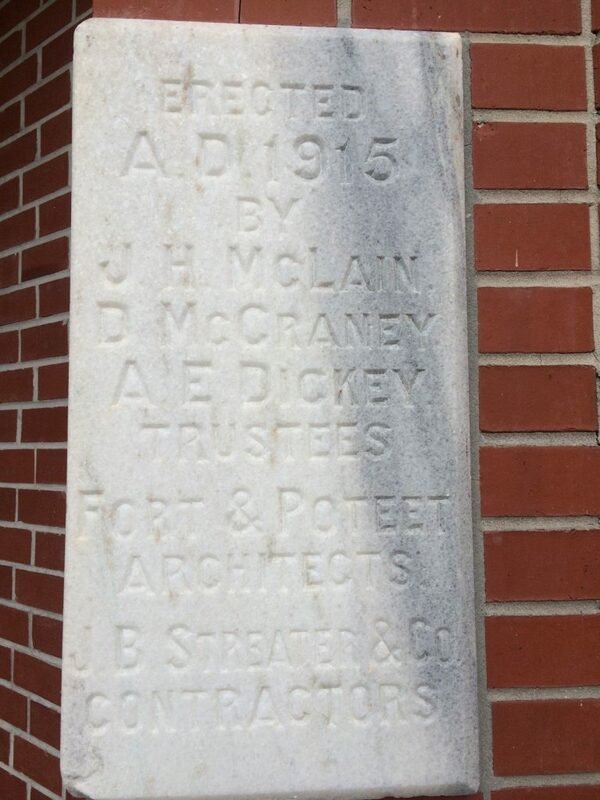 When the tornado necessitated that the school be demolished, contractors contacted the Polk County School Board and asked what to do about the white granite cornerstone set in the front wall of the 1915 building. 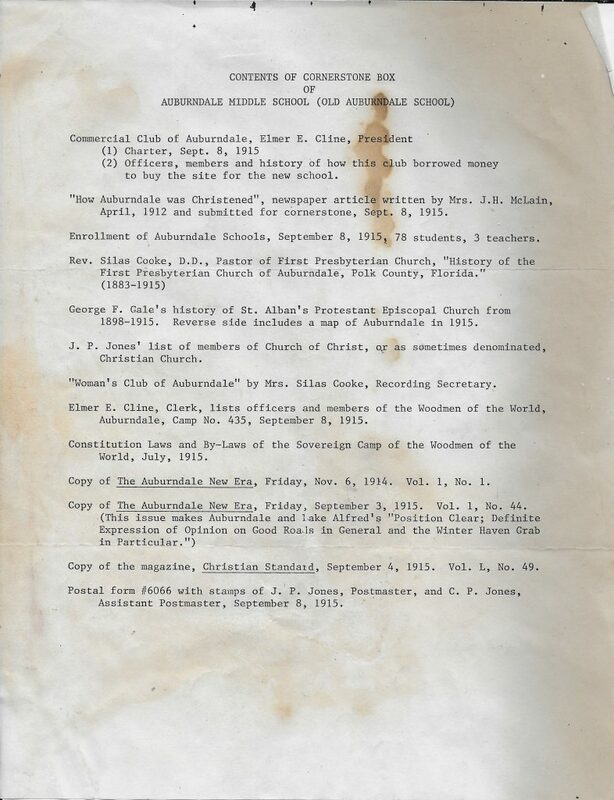 The Superintendent at the time, Dr. Homer Addair, instructed the white cornerstone be preserved and given to the Auburndale Public Library. In 1980 this is exactly what happened. The cornerstone was opened, its contents inventoried and stored at the library. 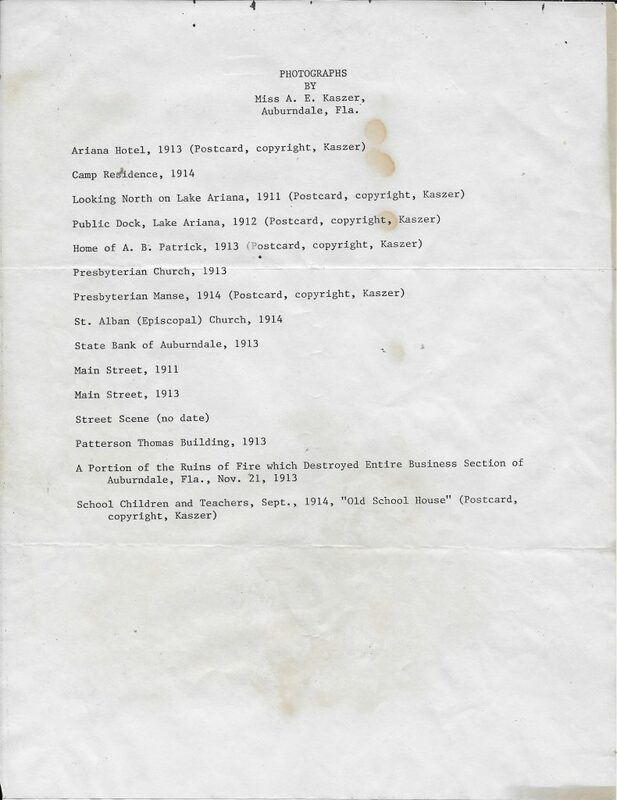 The contents of the cornerstone upon its opening in 1980. Click to enlarge. Among the things in the box were a batch of photos; this list describes them. Click to enlarge. The items stayed at the library until Auburndale High School’s administration building was constructed, starting in 1986. Upon its completion, some of the items were removed, but every club at AHS given the opportunity to add something to the box. Each submission or artifact had to be small enough to fit in a 35mm camera film container. The cornerstone was re-set to the right of the front door to the main office, which is where it has lived now for nearly 30 years. During the summer of 2017, the artifacts that had been removed from the cornerstone years prior were discovered at AHS. 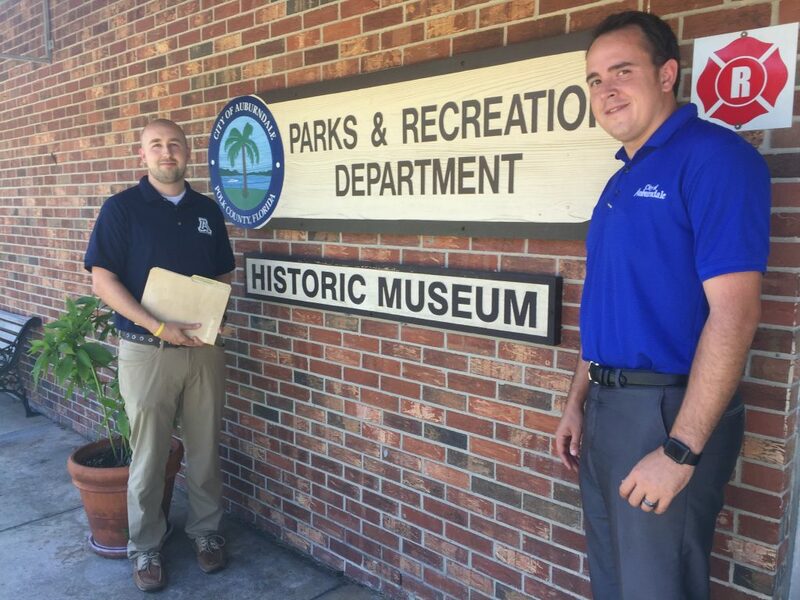 For preservation, these documents and photographs were donated to the city of Auburndale in August 2017 for display at their Historic Museum at the Parks and Recreation office on West Park Street.